The League of Arab States or Arab League is a regional organization in Middle East that established in Cairo, on March 22, 1945 under the Charter of Arab League. The League was chartered in response to concerns about postwar colonial divisions of territory as well as strong opposition to the emergence of a Jewish state in Palestine. The Arab League founding member states were Egypt, Iraq, Lebanon, Saudi Arabia, Syria, and Transjordan (now known as Jordan). Nowadays, Arab League had 22 members states. The aims of the Arab Leagues are to strengthen ties among member states, coordinate their policies, and direct them towards a common good. Headquarter of Arab League in Cairo is run by the General Secretariat and the highest body in the league is the Council who meets biannually, in March and September. Since established from 1945, as an organization, Arab League can’t be separated from criticisms. The Arab League is considered incompetent in prevent and manage problems in Middle East. Rivalry in Arab League in high politics level make them unable to pursue common interest, however in low politics level, Arab League is considered more effective. The Arab League also got criticized for poor government because most of member states of Arab League have autocratic and corrupt regimes. For example, from The Economist data of 2010 world ranking for corruption, Qatar placed at 19, United Arab Emirates placed at 28, and Oman placed at 41. Therefore, in early 2011, there was an anti-government protests movement that spread across the Middle East, this event known as Arab Spring. Arab Spring was begun from tragic self-immolation of Tunisian citizen, Mohamed Bouazizi on December 17, 2010. Mohamed Bouazizi is a street vendor who sold fruits and vegetables that had a low income. He got insult and harassment from police officers who demanded bribes. Mohamed Bouzizi was really mad and went to local governor to complain but his complaint was not got attention by governor. Therefore, Mohamed Bouazizi set himself in fire in front of the governor’s office and as the result he got severe injuries. Mohamed Bouazizi’s treatment by officials quickly became a focal point for public anger, and his struggles with underemployment and corruption came to be seen as emblematic of the economic and societal difficulties facing ordinary Tunisians, especially young people. Not long after the incident, Mohamed Bouazizi died of his injuries on January 4, 2011. The death of Mohamed Bouazizi caused anger in Tunisian citizen that lead a protests movement known as Jasmine Revolution. Jasmine Revolution demanded the removal of President Zine al-Abidine Ben Ali’s authoritarian regimes that rules in Tunisia since 1987. At first, the regime refused to step out from the governmental position and using force to suppress the protests from citizen. Therefore, the regime got criticism from international. On January 14, 2011, President Zine al-Abidine Ben Ali’s resign and end his 23-years rule of unaccountable government. The protests movement spread throughout the Middle East like a domino. The state after Tunisia who continued the protest movement is Egypt. On January 17, 2011, an Egyptian man sets fire to himself outside the parliament building in Cairo to protest government repression. His action was inspired by Mohamed Bouazizi’s self-immolation in Tunisia and this action also makes thousands of Egyptian citizen gather to demonstrate for removal of President Hosni Mubarak’s authoritarian regimes that ruled Egypt for almost 30 years. These people using social media networks to gather because press and TV are really had a tight control from government, but the government tried to quell the anger by dismiss the internet connection and telecommunication channel. After 18 days of struggle that mostly take place to demonstrate in Tahrir Square, Hosni Mubarok was resign and his regimes was disbanded, and all of the authority given to Egypt military. In Libya, the protest movement to overthrow Muammar Gaddafi’s dictatorial regimes lead to uprisings on February 17, 2011, after the security forces open fire on a protest. Libya’s uprising was get intervention by NATO, and as the result the Muammar Gaddafi’s dictatorial regimes was overthrown. Muammar Gaddafi was killed on October 20, 2011. The revolution in Libya was considered unique for four reasons. First, no one expected that Muammar Gaddafi’s 42-years rule could be challenged. 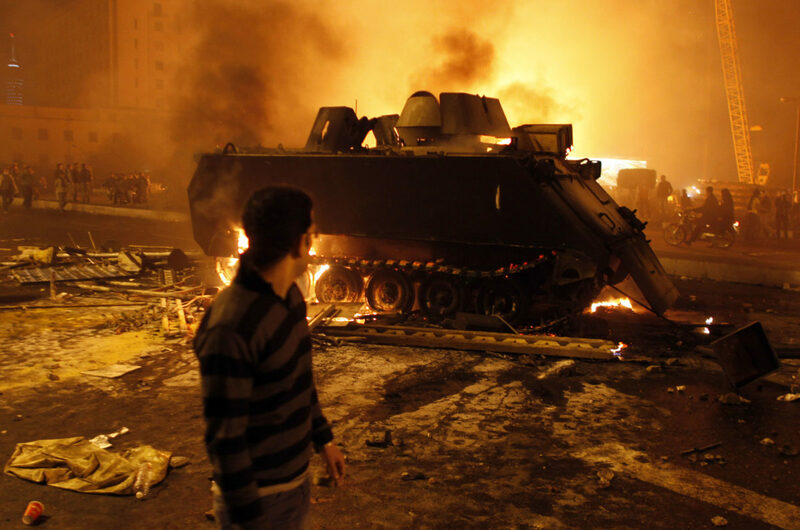 Second, it was the first in a series of Arab Spring uprisings in which a dictator fought back. Third, it was the only Arab Spring event in which the international community intervened militarily, and the first case in which the Arab League appeared as a visible actor supporting such outside intervention. Fourth, the uprisings led to a full-scale civil war that ended with the violent death of the former dictator. Unlike Tunisia, Egypt, and Libya whose success overthrow its government regimes, the states like Bahrain, Syria, and Yemen was in the midst of an internal political struggle. Inspired by the popular uprisings in Tunisia and Egypt, mass protest began in Bahrain in February 2011. The protesters want to overthrown King Hamad al-Khalif’s regimes that rules in Bahrain since 1999 and end the discrimination against the majority Shia Muslim community by the Sunni royal family. The results of protests movement in Bahrain are riots and governmental system is changed. In Syria, the protest movement began in March 2011, the protester demanded the removal of President Bashar Al-Assad and the uprisings lead to civil wars until now. In Yemen, the protests movement began in January 2011. The protester demanded to removal of President Ali Abdullah Saleh’s regimes. The protest movement in Bahrain, Syria, and Yemen is still ongoing. Last but not least, the states that got an impact from Arab Spring are Jordan and Saudi Arabia who also had the protests movement. In Jordan, protest movement began in January 14, 2011, with people calling for more jobs and an end to government corruption. They soon demanded greater democracy and for the king’s powers to be reduced. At all the demonstration in Jordan was run peacefully and the result is King Abdullah II disband his regimes. In Saudi Arabia, protest movement began in January 21, 2011. Saudi Arabia plays an important role in the region because they are the policy maker and leading state in the Islamic world. The results of movement in Saudi Arabia are political and social reforms. Other states that also had the protests movement are Sudan, Oman, Morocco, Iraq, and Kuwait, but those states didn’t have a massive impact of Arab Spring. So it can be concluded that Arab Spring is like a domino effect. Event in some places causing events in another places. The causes of protests movement in Middle East are unaccountable, autocratic, and corrupt government regimes. This unaccountable regime is what causes economic and social problems such as unemployment, poverty, lack of education, etc. The states that got an impact from Arab Spring are Tunisia, Libya, Jordan, Sudan, Oman, Saudi Arabia, Egypt, Morocco, Yemen, Iraq, Bahrain, Kuwait, and Syria. The impact of Arab Spring on the Middle East is displacement of unaccountable regimes or success to overthrown the regime in Tunisia, Egypt, and Libya; unsuccessful to overthrown regimes that lead to conflict civil war in Bahrain, Syria, and Yemen; and government reforms in Jordan and Saudi Arabia. After the Arab Spring, the power is shift in Middle East. The death of Mohamed Bouazizi in Tunisia, have left the politics of the Middle East in tumult. 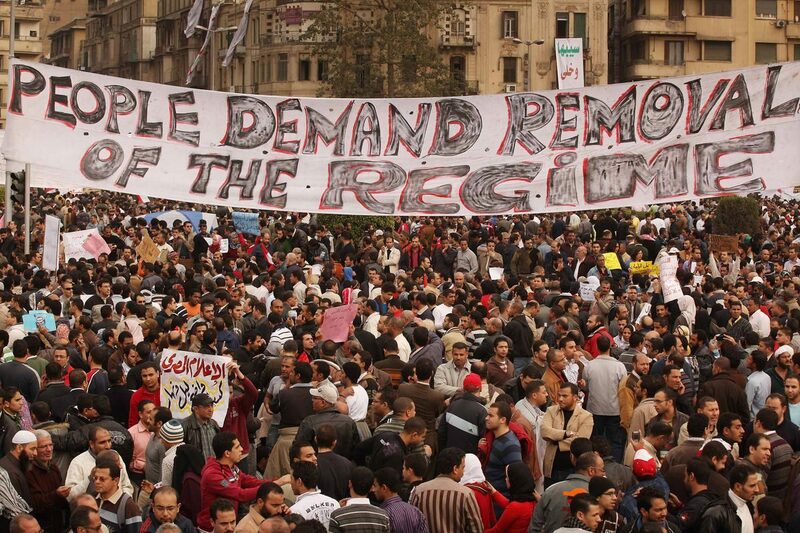 The Arab Spring has certainly resulted in a change of regime in Tunisia and then Egypt. Regimes of President Zine al-Abidine Ben Ali in Tunisia and President Hosni Mubarak in Egypt is collapsed after a long reign. The uprisings against Gaddafi’s regime triggered a military intervention by NATO that drove the Libyan leader and his entourage from power. However, even the autocratic leader like Gaddafi that already dead or like Mubarak who was in trial, Middle East still in uncertain situation because the long reign have been shape and built a political structure and they have been keep a corruption data so the problems was never can be solved.